The Big Falcon Rocket (BFR) is a next-generation super heavy-lift launch vehicle being developed by SpaceX. The launch provider will produce three variants of the rocket, the BFR cargo, the BFR tanker and the BFR crew which SpaceX founder and CEO, Elon Musk hopes will be the first vehicle to transport humans to Mars. The BFR will replace the Falcon 9, Falcon Heavy and Dragon capsule and will be powered by the launch provider’s next-generation Raptor engine. Musk had first hinted that SpaceX was working on a super heavy lift replacement for the Falcon launch vehicles as far back as 2012. In September 2016, Musk unveiled a precursor to the BFR with a 12-meter diameter, the Interplanetary Transport System (ITS). 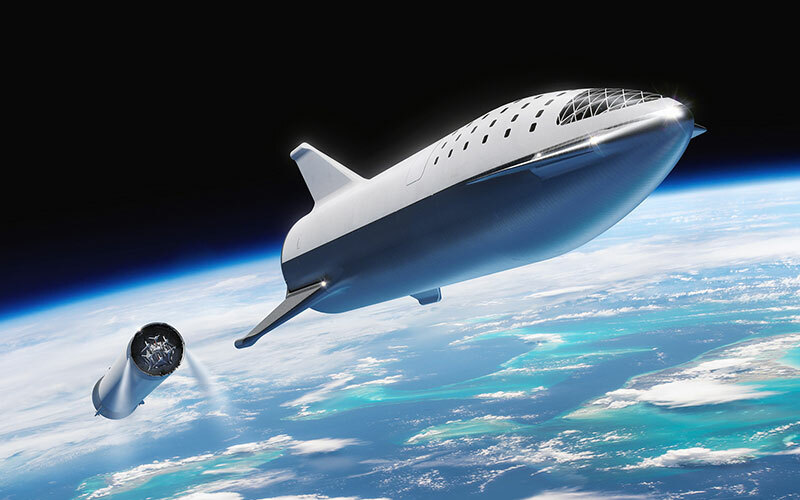 A year later at the 68th International Astronautical Congress, a refined launch system with a nine-meter diameter was announced codenamed BFR. The launch vehicles first stage will utilise 31 Raptor engines powered by subcooled liquid methane and liquid oxygen. The upper stage of the BFR utilises six Raptors engines, two of which will be outfitted with sea-level nozzles allowing for landings with a higher payload mass. The fuselage of the BFR features a delta wing and split-flaps design. The addition of these control surfaces will allow the vehicle to land in a variety of atmospheric densities. Although many believe the timeline to be overly ambitious, Musk has stated SpaceX will launch two BFR cargo missions to Mars by 2022. These missions would be used to establish infrastructure and identify risks. Another four missions would follow in 2024, two cargo-only and two that would carry the first people to the Red Planet.